Sometime back we wrote a blog post on the top Christmas gift ideas for a baby born with Down syndrome (as well as the top gifts under 25 dollars, and the top developmental toys) however, Noah has outgrown many of those toys, and so I thought it would be a good idea to write an updated blog post. In this blog post we share some of the best toys for a seven year old with Down syndrome. 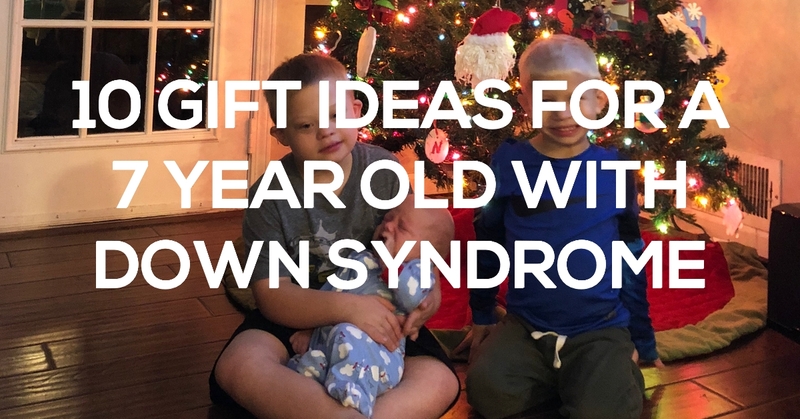 Noah will be 7 years old in just a few days, and if you’re looking for a great Christmas or birthday gift for a child with Down syndrome (or really any boy) I wanted to share some of our favorites toys with you! By the way, I mentioned seven years old because that’s how old Noah will be in a few days, but truthfully many of these toys would be great for a wide range of ages. I’d encourage you to check them out! I did (or at least tried to do) a video review of some of these toys in the video below. Click here to check out the remote control car on Amazon. Our kids are obsessed with toy cars! We have Hot Wheels all over our house, but since they also like the Cars movies, this four-lane race track is a win-win! A great feature of this race track is your child’s siblings or their friends can also play with them at the same time. It also doesn’t take up near as much space as some of the big Hot Wheel race racks. 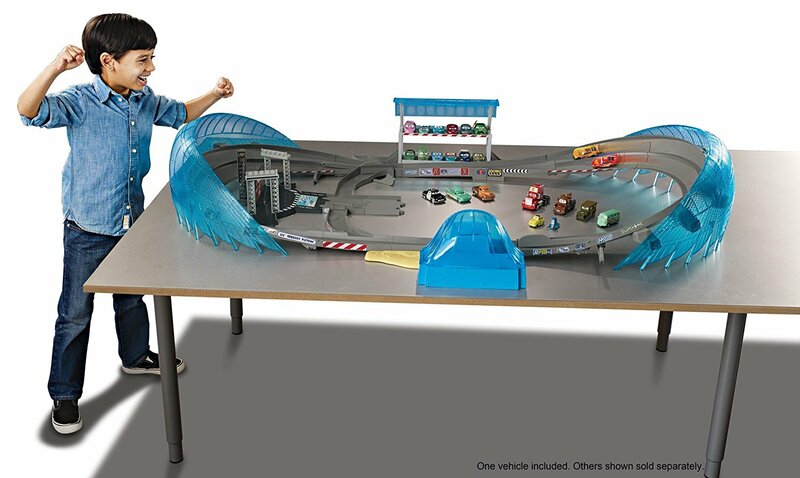 Click here to check out the Cars Four Lane Race Track on Amazon. 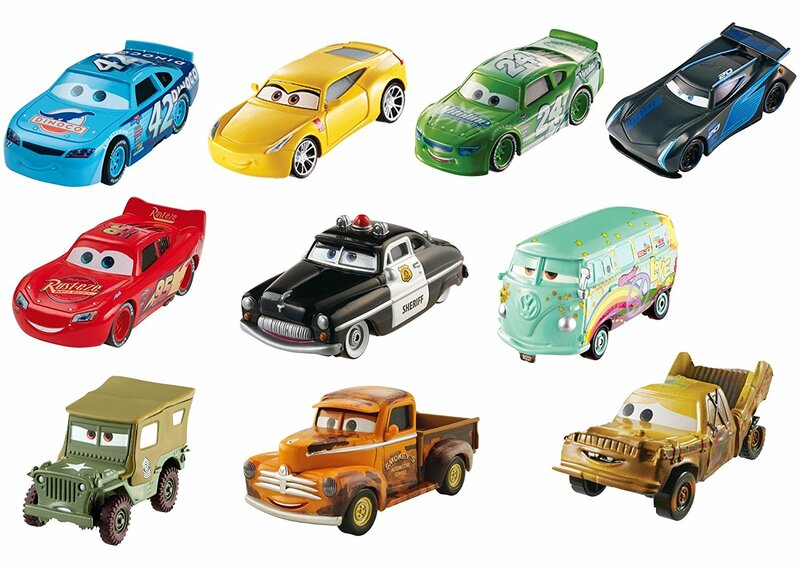 As I mentioned above our boys are fans of the Cars movies, and toy cars – so these Cars toy cars are great! 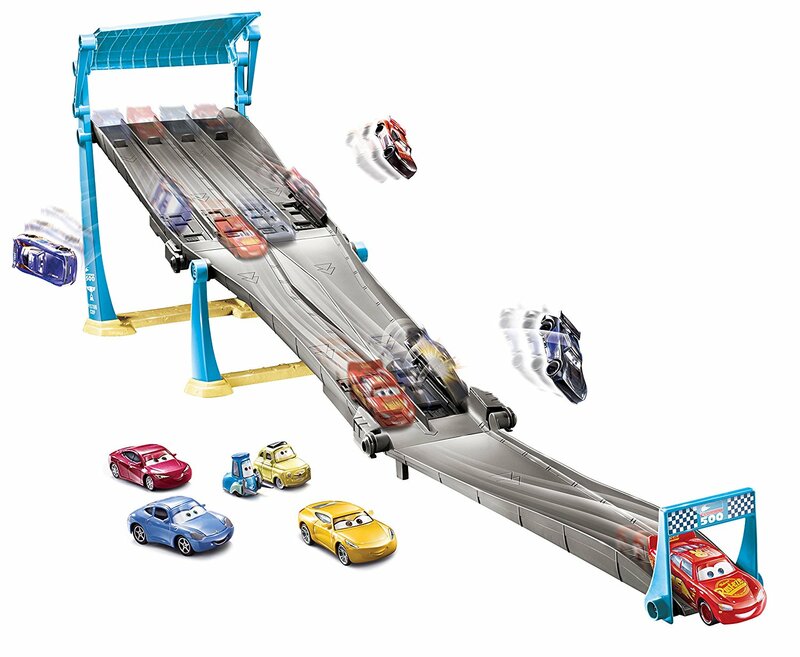 They cost a little more than generic Hot-Wheels (my guess is because they are licensed Disney toys) however, for authentic Cars toys – they are a good buy! 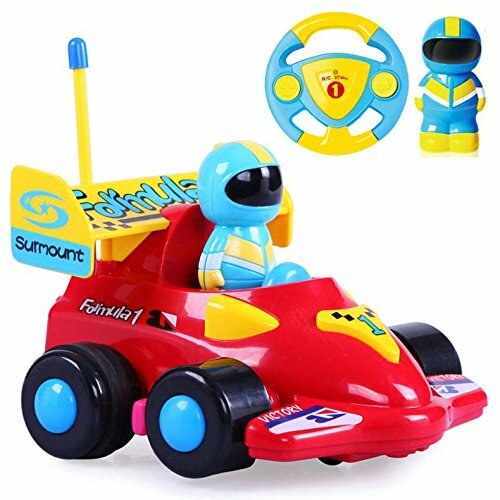 Click here to check out this 10 pack of Cars cars on Amazon. 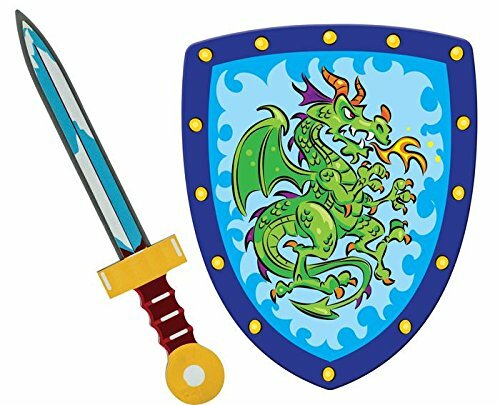 If you have a boy, I think this foam Sword and Shield set may be one of the best gift ideas on this list! 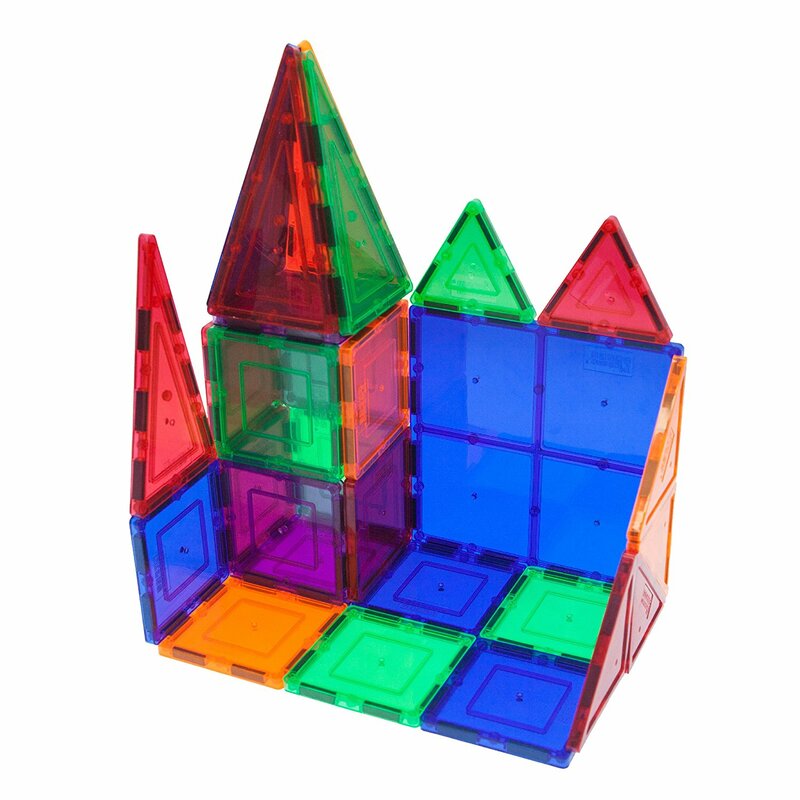 We have two of these sets, and Noah and three-year-old brother have a blast playing with these! They are made of foam so they don’t hurt if they hit each other with them, and they are fun toys for the boys to pretend with, and get out some of their built-up energy! Click here to check out the Foam Sword and Shield set on Amazon. One of Noah’s favorite things to do is pretend he is rocking out for us! He enjoys using this guitar (and the microphone that I list below.) This guitar can take a beating, lights up, and plays music. It’s another great toy for your child to pretend with. 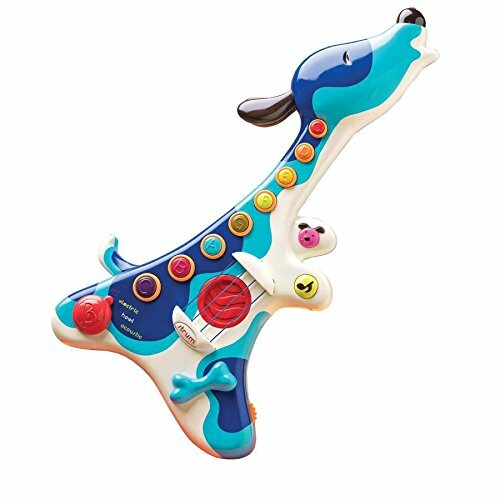 Click here to check out this toy guitar on Amazon. As I mentioned above, Noah really enjoys signing and pretending he’s playing the guitar. 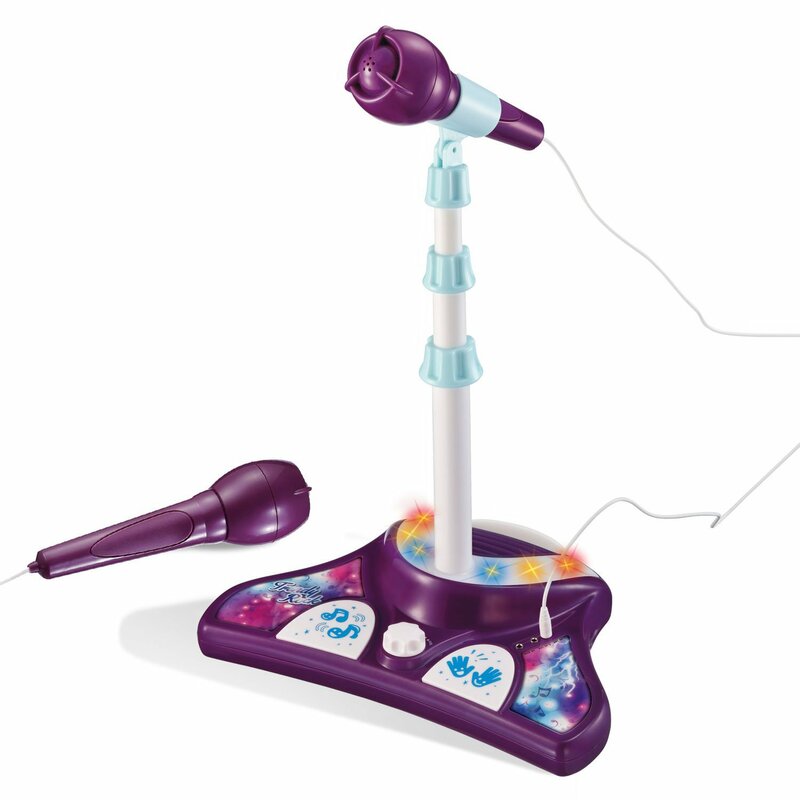 This karaoke machine has two microphones and will help your child feel like a rock star! Click here to check out the kid’s karaoke machine on Amazon. 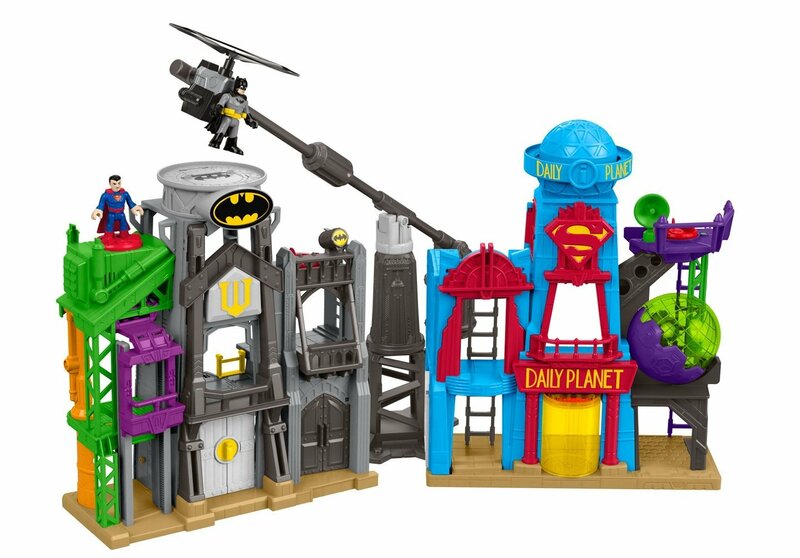 Click here to check out the Fisher-Price Imaginext DC Super Friends, Super Hero Flight City on Amazon. This is a great toy to let your child express their artistic side! We really like Mellisa and Doug toys – and this easel would make a great addition to kid’s toy closet! 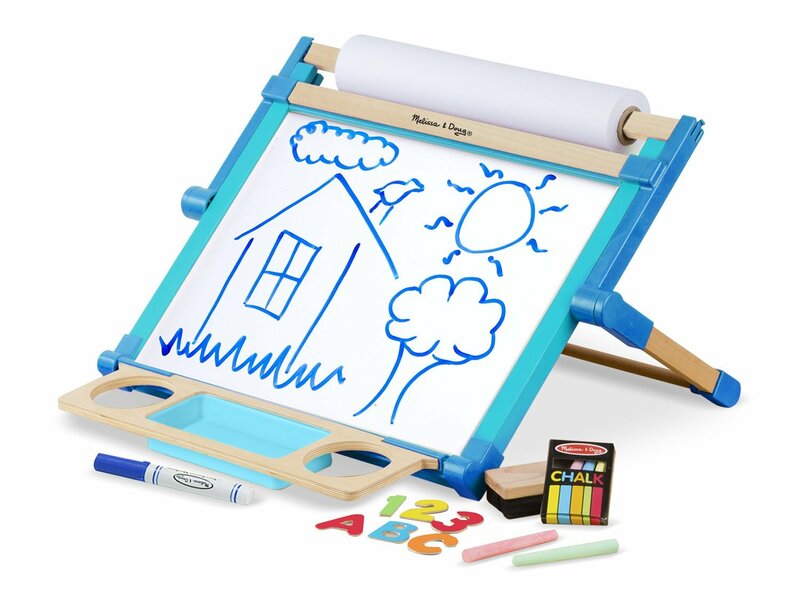 Click here to check out the Melissa & Doug Double-Sided Magnetic Tabletop Art Easel on Amazon. These magnetic tiles get a lot of play time in our house! They are easy to put together, you can build patterns on the ground, or build up, and they allow Noah to be creative! Click here to check out these magnetic tiles on Amazon. This toy is currently on Noah’s wish list! 🙂 We don’t own it, but when it sees it on TV he lets us know he’d like to have it! It looks super fun, so we included it on the list for any other Cars fans out there. Click here to check out the Cars 3 Flordia Race Track on Amazon. We hope this list of birthday / Christmas gifts is helpful to you! We’re always on the hunt for new toys for our boys, so be sure to leave a comment below and let us know what some of your child’s favorite items are! I don’t like to be nit-picky, but you might want to remember the spelling rule of “I before E, except after C” – if you can do that, then you’ll know that you misspelled the word “shield” as “sheild”. It’s not a big deal, but….. Thanks for letting us know! It’s been corrected. Really.? Because this is whats important here? I think that the title of your post should be Top Gift Ideas for a boy with Downs. That was my thinking too, but since he and his wife don’t have a daughter, their area of expertise is more about boys. I have a granddaughter who has D.S. and sometimes it’s difficult to know what would be appropriate for her since we live hundreds of miles apart and I don’t see her often. I hope you’re successful in your gift search! hi! do yout think magnetic tiles are easy enough for 3 .5 years old (DS)? Great question. I asked my wife, and she said yes! The child can also grow into this as well and do more things as he/she gets older. Hope that helps.